When many Americans think of Mexican food, they, unfortunately, think of fast food options like Taco Bell or Chipotle. However, these hardly qualify as being Mexican food at all. Genuine Mexican restaurants understand Mexican cuisine well enough to know the flavors that distinguish the best Mexican food from Americanized versions. If you're looking for the best Mexican cuisine, check for these sorts of flavors and ingredients on the menu. While a variety of meats and cuts of meat are found in authentic Mexican cuisine, some are used more frequently than others. Pork, in particular, is found in many different Mexican dishes. Many cuts of pork are used, so if you see a dish on the menu that uses a part of the pig you haven't tried yet, give it a shot. Over the years, this part of Mexican cooking has shifted as a result of international influences on traditional recipes. Exposure to different nations and the ability to trade has always introduced new fruits and vegetables to Mexican cuisine, but a few staples have consistently been included in recipes. Tomatillos, avocados, chiles, beans, and corn have all been regularly used in Mexican cuisine for hundreds, if not thousands of years. The tomatillo itself dates back to at least 800 BC. This is one component of Mexican cooking that many Americanized versions of Mexican food get wrong. The flavor profile of most Mexican cuisine is incredibly layered and complex, but relies on a few specific spices fairly consistently. Cumin, cilantro, citrus, and even chocolate and vanilla are regularly used in Mexican cooking to bring out the flavors of the different fruits, vegetables, and meats featured in dishes. This is far different than American versions of "Mexican" food; most American versions focus on making their dishes spicy, rather than using the heat of some of these spices to bring out the savory flavors. Rather than opting for the same old Tex Mex every time, next time you're craving Mexican food, look for these unique flavor and ingredient combinations. 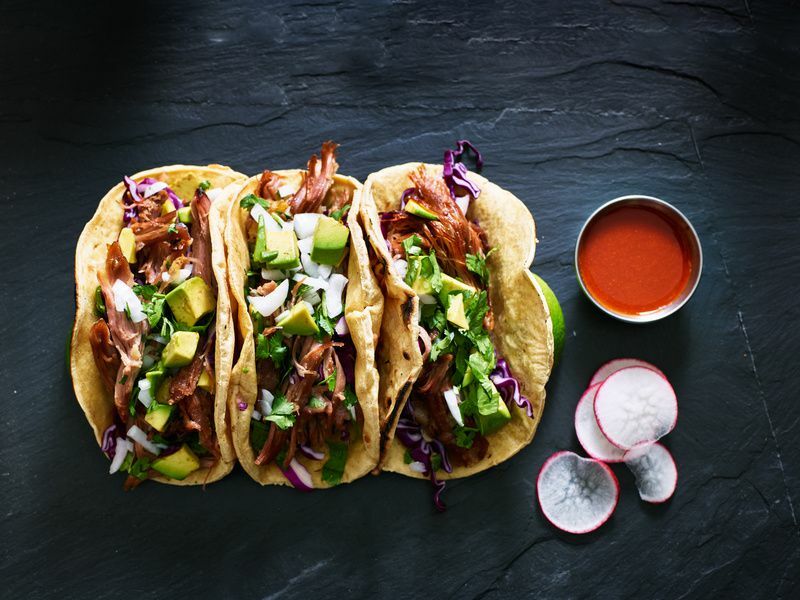 These are just a few of the hallmarks of authentic Mexican cuisine that help separate out the best Mexican restaurants for Americanized fast food joints.